What do y’all think about borders for these? 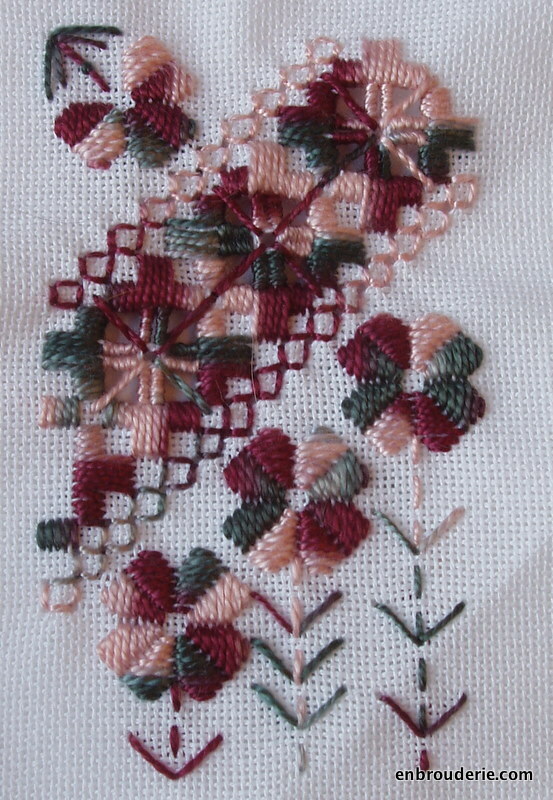 This entry was posted in Finishing techniques, Hardanger, My work and tagged borders, embroidered cards, embroidery, hardanger, hems, Needlework. Bookmark the permalink. I really like the design and colors on this card (the others you’ve done, too, but this one in particular). You are really getting the hang of the Hardanger technique; your stitching looks great. Thank you for the link to Caro’s site – what a help this will be for me in the future for finishes on my small Hardanger projects. I like the Embroidered Frame finish – very “neat” looking and doesn’t look too complicated. I do like the Drawn Thread finish as well, but looks a little time consuming for a small card project. The nice thing about a small project is that a really time consuming border still won’t take very long! Ha! Maybe once I get the hang of these borders with the hardanger cards I can start using them on bigger projects without it taking FOREVER. I have quite a few cards to go, so I think I will be able to try all of the different borders. So many choices! Little projects are very useful for travelling with, aren’t they! Yes, I always get worried about losing parts of my big projects. It would be so heartbreaking! And these little hardanger cards fit anywhere. Lovely cards! I love little projects.When we are in the middle of big projects sometimes we get stuck up,aren’t we?. I always feel that these cute little projects help us to unwind:). Are you using 25 count fabric for these cards? Your cards are lovely. I have never done hardanger work but I really like the way the multi-coloured threads work with it, and I have heaps of them. As far as a hem goes, I think I like #5 on your list – it’s subtle so it won’t compete too much with your beautiful embroidery. The embroidered ones would detract from your work I think. Anyway that’s my two cents worth. They’re looking really pretty. thanks so much for the links! 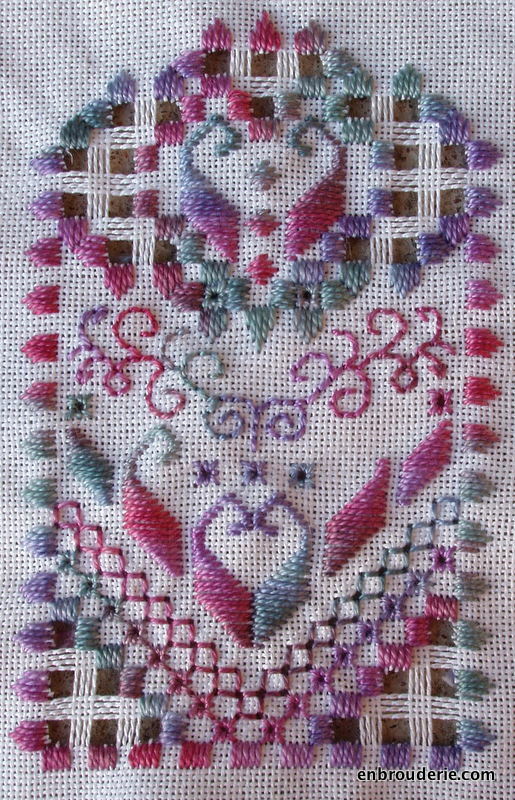 Well, it is almost identical to the star motif design in the free Hardanger guide at Nordic Needle (http://www.nordicneedle.net/guides/stitching-techniques/hardanger-embroidery/301-hardanger/). Does that help? Thankyou for showing the way.Yes it’s like the star motif only the top two rows are stitched in the center.I am sure I should be able to work it out.Another big Thankyou for the links.They are wonderful.